Most people truly believe that if they have some skin pigmentation it will vanish with time. This is more than a myth and people who know it, have created hyperpigmentation treatments. It gives empty hopes and leaves disappointment when pigmented spots remain untouched. Actually, there is a type of pigmentation which could disappear – acne scar pigmentation – but the process takes at least one month. However, if your scars and pigmentation spots don’t have the intention to hide then its time for more powerful treatment that time could be. Sounds complicated, right? Fractional Laser Resurfacing stays for laser treatment, which targets various skin problems. Laser shooting has nothing in common with laser blades so you don’t have to worry about the effectiveness of the treatment. Laser treatment is not as invasive as surgery but it causes micro injuries. Thanks to the strength of the body, the micro injuries heal and new skin is not hyperpigmented. If the pigmentation is deep – like tattoos – laser will fritter the dark spots below the upper skin layer. Then the body will throw them away naturally. This method is useful for melasma, also. Different lasers have different length of the waves. They can penetrate the skin at a different level and target various types of pigmentation. However, some people recommend microdermabrasion when it comes to skin pigmentation. Microdermabrasion has some benefits but it is not the best treatment if you want to get rid of melasma or freckles. Your skin will peel off after 10 days. While this is happening you will see a drastic difference in the skin colour. The most important thing is not to scratch it and leave the crust to fall naturally. Some people need more than one treatment when the pigmentation is in a big area. The recovery period is not as painful as you think. Actually, during the treatment, most people feel some discomfort but it’s not unbearable. After treatment, the discomfort vanishes. In addition, there are body parts, which are too sensitive and others, which are not sensitive at all. What are the most popular laser machines for laser hyperpigmentation treatment? The most common laser machine is called Alexandrite 755nm and the length of its waves is 755nm. This laser is the gentlest one when it comes to the skin. People use it for age spots and freckles. It has a good effect on the sunspots, also. People who have melasma won’t benefit from using Alexandrite 755nm. They need something harder, like ActiveFX Laser or the New PiQo4 Laser. Both of them can save the skin from unwanted dark spots or tattoos. These lasers are so powerful that they can remove up to 80% of melanin in a single treatment. As you may know, melanin is the main reason why people have pigmented spots on their skin. Actually, the production of melanin is responsible for a summer tan, also. What patients should have in mind? Laser equipment requires an experienced specialist otherwise incidents may occur. The laser beam is a powerful beam and deep burns are possible. The pain is significant in this case so don’t risk with questionable specialists. In addition, some lasers are absolutely not suitable for olive or dark skin. That’s why make sure that chosen specialist works with a laser, which will help you. If it is done precisely, the treatment is successful 90% of cases. 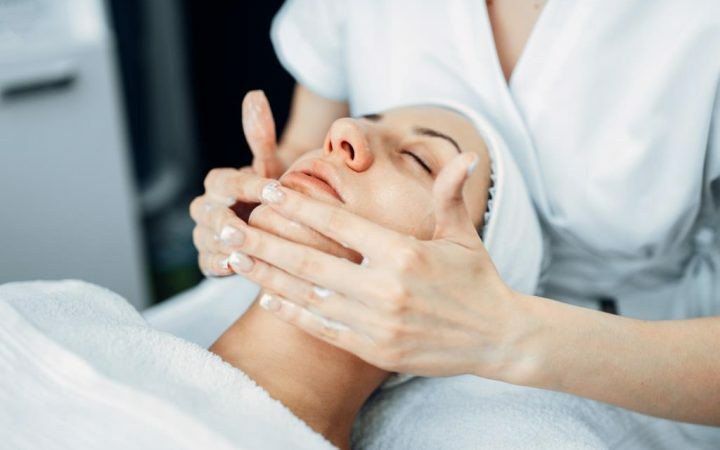 Other aesthetic treatment like dermal peel and microdermabrasion might have some effect but it will more gentle compared to hyperpigmentation treatment from OneFaceClinic and other aesthetic clinics. Patients at first, are scared by the pain but then are grateful they get rid of hyperpigmentation. That’s why laser equipment doesn’t stop to evolve – to satisfy all new requirements. Perfect skin needs sacrifices. Moles can be warning signs for serious skin issues, or they can be harmless nuisances. Sure, the odd movie star can pass a mole off as a beauty mark remember Cindy Crawford? But for most of us, moles are annoying at best, and potentially dangerous at worst. The very best advice you’ll ever get about your moles is to see a dermatologist. 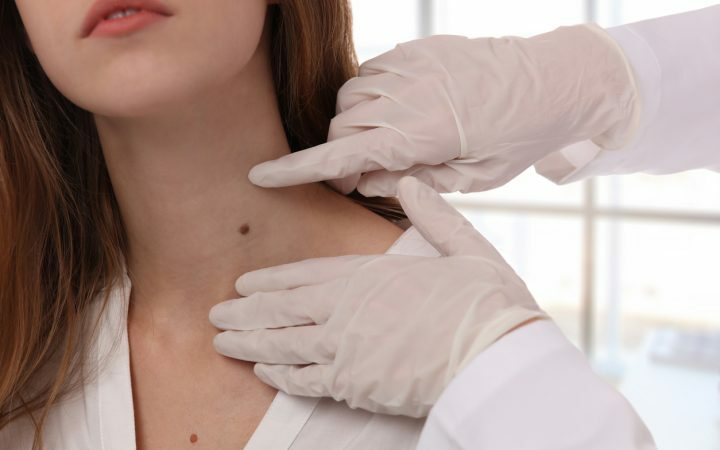 Other doctors might have seen plenty of moles in their time, but only a licensed and experienced dermatologist has the training and background to confidently identify which moles are malignant and which are merely cosmetic blemishes. Most of us have dealt with moles. Sometimes they’re large and pronounced; sometimes they appear to be freckles at first and grow or merge over time. And in most cases, they’re harmless. Because moles are so common, many people pay them too little attention or think of them as little imperfections that might require cosmetic surgery at some point. It’s easy to overlook their dangers. Here are four things you should know about moles, and one mistake you should avoid. Most people don’t see dermatologists regularly, so in most cases, the first doctor to evaluate your mole will be a general practitioner. Based on your mole’s visible characteristics, your GP might refer you to a dermatologist for a more intensive examination. Asymmetry: is the mole round or oval-shaped, or is it growing more irregularly? Irregularly shaped moles are likely to be signs of trouble. Border: a benign mole has clearly defined borders; a problematic one will seem to fade into the surrounding skin. Colour: benign moles are evenly coloured (like the beauty marks sported by some movie stars); dangerous moles often contain many colours or shades of brown. Diameter: a mole larger than 6mm across requires careful examination. Evolution: even if a mole does not significantly increase in size over time, if it changes colour or shape, it should be examined immediately by a dermatologist. Of those, the most alarming is the last. If your mole is a bit oddly shaped or is larger than 6mm across but stays that way over time, you should see a dermatologist at your convenience. But when moles begin to change dramatically, it’s time to get that referral from your GP right away and have a trained dermatologist take a close look. Because we learn to live with moles, it can be difficult to assess whether they’re changing all that significantly. Your phone can help: start taking pictures of your moles every few weeks or so, and comparing them. Be sure to bring your pictures the next time you see your GP. What if your GP has evaluated your moles and found them harmless…but you see more and more of them as time goes on? The answer is probably right above your head. At least in the daytime. Sun exposure is the leading cause of moles and other minor pigmentation issues. Lighter skin tones are especially vulnerable to skin damage, but everyone can suffer the effects of too much sun, and moles reflect one of the body’s defences against sunlight. Even patients who keep themselves covered up and who use sunscreen in their later years can see a proliferation of moles and pigmentation issues due to sun exposure they suffered earlier in life. It’s not too early to start taking better care of your skin: wear adequate protection, and use a sunscreen rated at least SPF 30. What if I Get Bad News? If your dermatologist can’t entirely rule out the possibility that a mole is pre-cancerous, a biopsy is in order. This is the only perfectly accurate way to tell a harmless mole from a dangerous one. It might sound intimidating, but a biopsy is a simple, painless procedure that could save your life. For you, a biopsy will involve a local anaesthetic, a small incision and a few stitches. A simple biopsy on a single mole will have you walking out the door 15 minutes after the procedure starts. During the procedure, your dermatologist will remove part or all of your mole and will examine it closely under a microscope. If it’s indeed pre-cancerous, you’ll have a head start on treatment. And if it’s benign, you’ll have peace of mind. Dermatologists suggest removal and biopsy whenever they have significant questions about a mole. If yours suggests the procedure, you’d be wise to agree. What if I Get Good News…and Still, Want my Mole Removed? 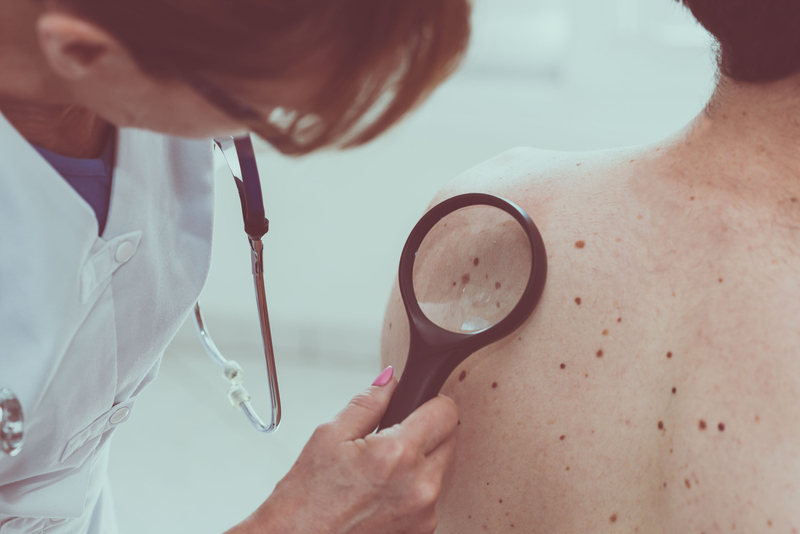 If your dermatologist’s initial screening doesn’t suggest that your mole is pre-cancerous, and no biopsy is suggested, it may be wise to heed that advice as well. Many people get to this point and see an opportunity to remove moles that they consider unattractive or otherwise bothersome. That may be a mistake. Like any surgery, mole removal carries a risk of bleeding, infection, and scarring. It’s one thing to sport a teeny little biopsy scar: no one will mind at all. It’s another to replace a mole with a scar simply for the sake of appearance. Not to mention the fact that mole removal doesn’t prevent the recurrence of moles in the same location. See UbiqiHealth’s explanation about mole removal by an aesthetic doctor. 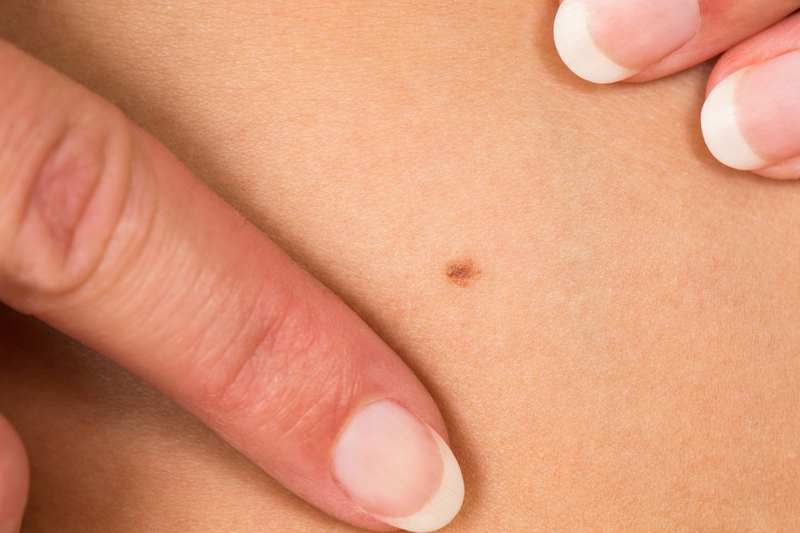 For a variety of reasons, you and your dermatologist may agree that it’s time to remove a mole. Your best advice will come directly from your dermatologist, but here is a brief outline of your options. Shaving is a popular approach for moles that protrude from the skin’s surface. The procedure is what you’d expect: the mole is sliced off at the level of the surrounding skin. A scab will form over the treated area, but stitches are usually not needed, and very little scarring usually results. While this approach usually leaves less visual evidence, it opens up a greater chance that your mole will return. Excision is a more intensive approach and is necessary when moles develop beneath the skin’s surface. The entire mole is cut out, and the skin is closed with a few stitches. You will likely be left with a minor scar, but excision goes much further than shaving toward preventing recurrence. Other treatments replace the surgeon’s scalpel with other means of destroying mole tissue. These include radio waves, lasers, electric currents, and liquid nitrogen. Each tends to be useful in a specific range of cases, and each carries its own risks. Above all, be sure to document your moles carefully, and to talk frankly about them with your GP and dermatologist alike. Dental implants are expensive treatment all over the world. Unfortunately, most insurance companies don’t cover dental implants so people have to pay for them. That’s why when most people hear the words “dental implant” the first thing they try to find out is how much it is going to cost. We have made a simple guide, which will help you choose the best place for dental implants. Let’s dig deeper and find out what exactly is a dental implant? 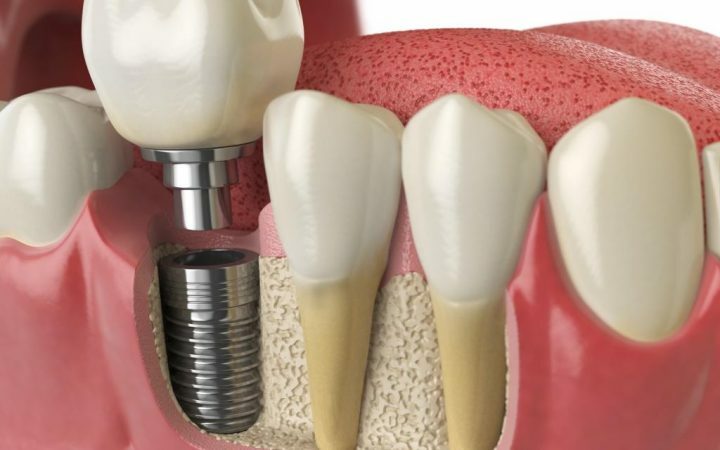 How are dental implants implanted? This is a complex procedure and your dentist should have enough experience. Not every dental education covers this topic so make sure you have asked him. Modern dental implants in Singapore have a titanium screw that is inserted into the jaw bone. The procedure is precise and several things have to check before its beginning. For example, every experienced dentist will check if the gum and the bone are enough stable to implant in them titanium screws. On the top of the screw, the dentist will position a new tooth – actually, this is the point of the implant, to ensure a stable foundation for the new tooth (called crown). If the patient is missing more than one tooth, then they called it a row of crowns or a bridge. I will have titanium in my mouth. Will I be a real-life Iron man? Unfortunately, no. 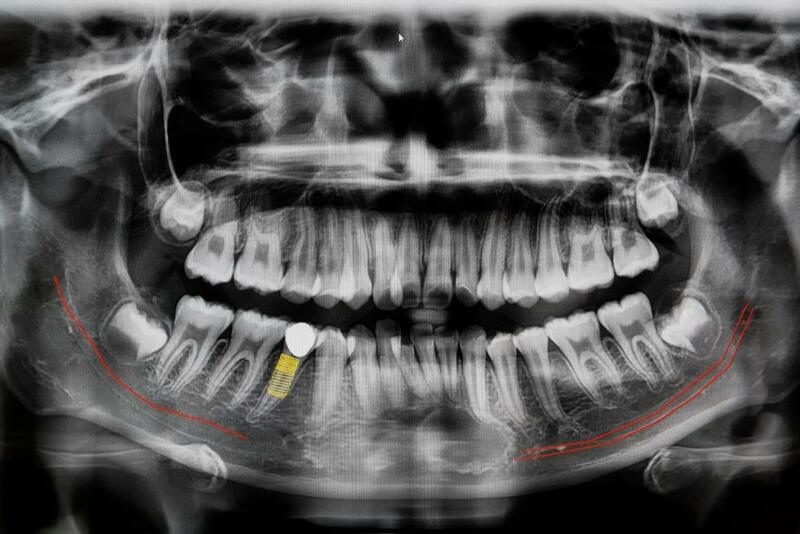 Iron man has more than a few implants in his jaw bone. But titanium does have some magical properties. Titanium is able to bond extremely hard with the jaw bone for only a few months. That’s why they use exactly this metal for the procedure. What should I have in mind before the dental implant procedure? There are a few things you should be prepared for before and after the procedure. First, your dentist will require radiographs test to find out if your bone is stable enough. Then he will choose the right place for the implant and make a small incision. Have in mind that you don’t have to drink coffee before the procedure because the local anaesthesia won’t have an effect. In addition, your doctor might tell you not to drink alcohol or aspirin a few days before the procedure. After the procedure, you have to apply ice, in order to reduce swelling. In addition, you have to eat only soft food and try not to chew on this side for some time. Clean your crown carefully and slowly floss. If you are afraid of flossing, don’t do it. There is a risk of extracting the crown. After dental implant procedure, your teeth need rest so don’t push them too hard if you don’t want to repeat the procedure. All over the world, the procedure is the same so the difference comes from different health prices in different countries. In addition, dentists have a different experience and this might affect the price. Our advice is to find the best dentist and the best clinic especially if you travel abroad. The clinic is not less important than the dentist is, because your dentist uses their machines and furniture. Have in mind that reputable clinics, such as Dental Designs, are easy to find so eventually you have to choose between a few. Choose wisely! Here, we will share with you, the average cost of dental implants in most popular countries for dental tourism. Yes, this is a term and people really travel abroad to find a good dentist. Have in mind, that if you need a bridge the cost is higher. These prices include dentist’s fee also, but they are average so don’t use them for granted. When you choose a good clinic and dentist contact with them and find out what their prices are. In addition, have in mind that countries, which are famous with cheap medical and dentist service, like Mexico and Thailand, probably are not the best choice. Don’t forget that you have to include tickets, hotel and other expenses if you travel to these countries. If you have additional time you might walk around and you will need more money. Make sure your language allows you to explain your dental history and bring with you all the medical documentation you have. If you have ever lived in Singapore, you must have noticed the staggering number of hair loss salons popping out of every corner. As it is, locals are experiencing shedding to a greater extent than other nations. The reasons vary, but the fright is real. Don’t go into panic mode yet. 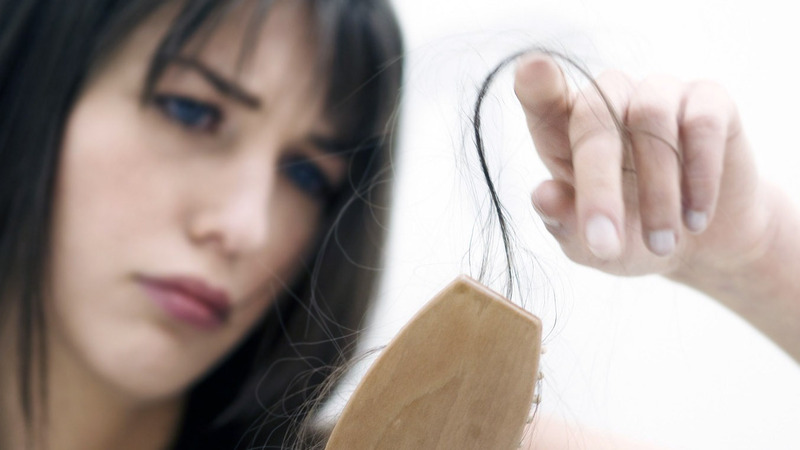 You might be able to save your tresses with some home remedies for hair loss in women. Or if you want a fast result you always can try some innovative hair loss remedy like Follicle’s Pure Oxygen Scalp Treatment. Needless to say, before you can enjoy the full benefits of these treatments, you have to find what is causing the problem. If it is not hereditary, no worries, you can get your lovely locks back. Now, let us dwell on how to stop hair shedding the natural way. Is It Possible to Regrow Your Hair Naturally? It largely depends upon the reasons your hair is shedding. 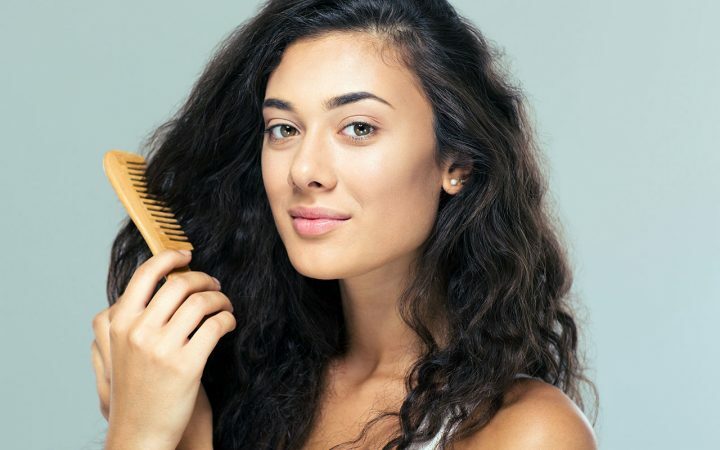 If you know you are deficient in a vitamin or you’ve been using the blow dryer way too much, then yes, there are some natural remedies to prevent hair loss and strengthen your mane altogether. However, if you have an autoimmune disorder like alopecia or you’re struggling with hormonal imbalance, natural remedies may not have the desired effect. They certainly will do no harm, but they won’t necessarily give you a thick mane. That’s why the first thing to do is consult a specialist on the reasons you are parting with more strands than you should. We all need our fair share of vitamins and minerals to keep our bodies in tip-top shape. When an important nutrient is missing from our diets, it can lead to health problems, and sometimes it can affect our looks. One of the little-known secrets to healthy hair resides in an organic compound known as niacin. Perhaps you are better acquainted with its alternative name – vitamin B3. Its main job is to make food into energy. So, if the body isn’t getting the recommended dose, this usually leads to fatigue. Other amazing things it does is improve blood circulation and carry oxygen to the hair follicles. Thus, it is thought to stop hair loss. Of course, the element will be much more effective when used along with other nutrients. Whether you take it in pill form or from the food you are eating, it should be part of a balanced diet. 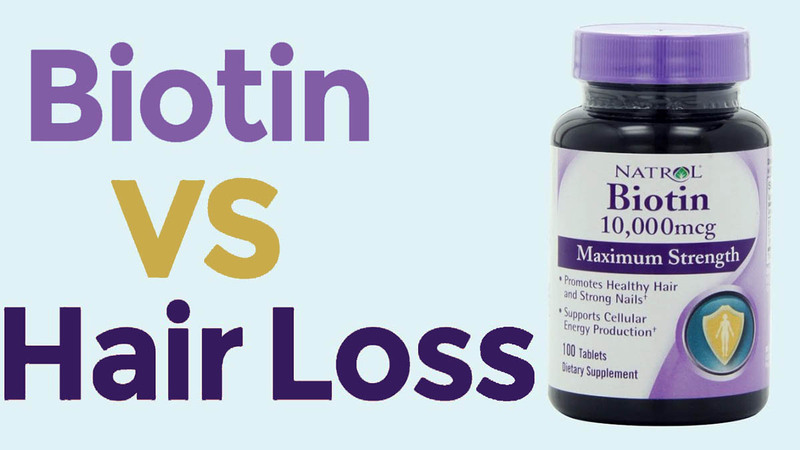 Biotin (vitamin H or B7) is a vital element our bodies need to thrive. When used in the right dosage, it can work wonders on our nails and hair, promoting growth and reducing brittle strands to a minimum. However, that doesn’t mean that taking vitamin B7 supplements alone will magically coax your hair into growing faster. The ugly truth is that no vitamin or mineral can do such a thing on its own. Your body is a complex machine which needs a combination of nutrients and stuff to function properly. If you are taking enough of a particular vitamin but are lacking in another, this won’t make things any better. 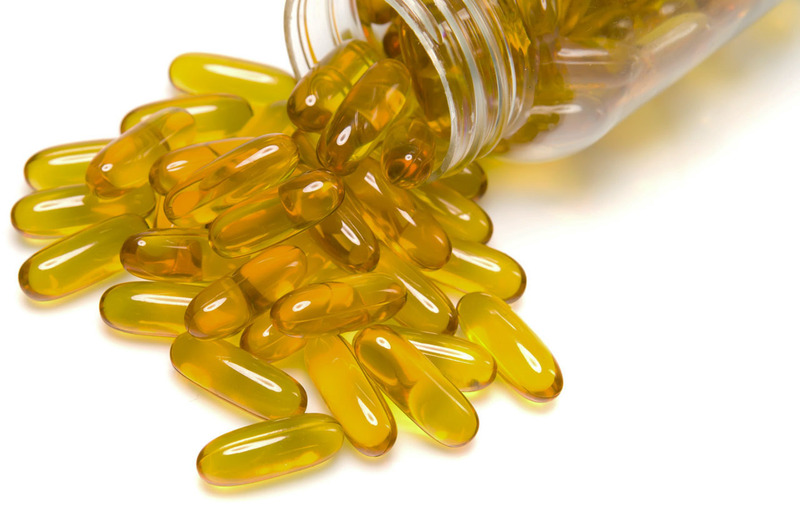 Can vitamin E capsules reduce hair loss? To some degree, yes. Vitamin E strengthens and stabilises hair follicles, which can prevent your strands from falling off. In addition, it boosts oxygenation, encouraging hair growth. And while you can use topical creams to improve the state of your skin, thus multiplying follicles, digesting the vitamin is much more efficient in getting the desired outcome. If you are terrified at the idea of swallowing pills, there is another option. Try to consume foods high in vitamin E to restore the balance. This is much better than taking supplements, but it means you have to carefully plan every meal and fervently stick to your regimen. One of the least known symptoms of iron deficiency is hair loss (talk about a severe shortage of the element). When the body isn’t getting enough iron, the production of haemoglobin is blocked. As a result of this oxygen production comes to a stop. This automatically puts your system into survival mode. Meaning oxygen transport is limited to the most vital organs and functions, leaving hair follicles with nothing to go by. To find out whether you are getting enough iron, you have to do some blood tests. If you really are deficient in the chemical, your doctor will prescribe supplements. Which is the best iron supplement for hair growth in Singapore? There is no straightforward answer to this question. Drug stores offer a gazillion over-the-counter products and, in truth, you can go for whichever you want. But it is not recommended to take iron supplements without having consulted a doctor first. If you already have enough of the element into your system, you risk getting it overloaded, and that can put your health at risk. There are various ways in which you can go about this. For instance, you can fill a squeeze bottle with 1 cup of water and 2-3 tablespoons of apple cider vinegar (you had better go for organic). When showering, sprinkle your hair with a generous amount of the solution and let sit for a few minutes. Or apply on your palms, spreading it evenly between them, and then massage it into your scalp. Rinse after a couple of minutes. Make sure to repeat the procedure on the regular. But don’t put all of your hopes into this. White vinegar is not a miraculous ingredient that will tackle all the hair problems. Arm yourself with patience and realistic expectations. The reason that fish oil is considered so healthy is it contains omega-3 and omega-6 acids. One of the many benefits they have is helping strengthen the hair roots and nourish hair follicles. This was backed up by a 2015 study which examined the effects of taking the acids for six months straight. A total of 120 women took part in it. What they all had in common was that they suffered from female pattern hair loss. By the end of the research, 89.9% of them had experienced improvement of hair density and reduction in hair loss. Some essential oils can make your mane grow. There are different studies that prove that topical application of some oils promotes hair growth. For example, in 2016, scientists evaluated the effects of lavender application in mice. The findings revealed the oil increases the number of hair follicles and thickens the thermal layer. According to another study on peppermint oil, topical application of said essential oil boosts dermal thickness and hair growth. It also increases the number of follicles. Furthermore, researchers have found that rosemary oil helps healing, growth, and cellular metabolism. As a matter of fact, it is so strong that it works equally well as a very popular medical hair loss treatment for women and men called Minoxidil. Other oils that are said to produce similar effects include chamomile, clary sage, cedarwood, and lemongrass. You can mix equal parts of olive oils and an essential oil of your choosing (about 5 drops will make do) and apply it onto your scalp. Let sit for a couple of hours and wash your hair as you normally would. Hair loss doesn’t have to be permanent. There are natural methods for restoring growth that may work, but it depends on a few factors. As with everything else, try to keep your expectations to a minimum or you will be settling for nothing but disappointment. When it comes to supplements, it is important to do the necessary blood tests and talk to a doctor before adding extra elements to your diet. Today, I am sharing with you my Botox journey and my Veritas medical review. I know… the first thing that comes to your mind about Botox is definitely negative. There are too many misconceptions associated with this treatment. I was pretty sceptical about it initially as well, worried that I would turn out plastic or bad and that its effects would be irreversible. 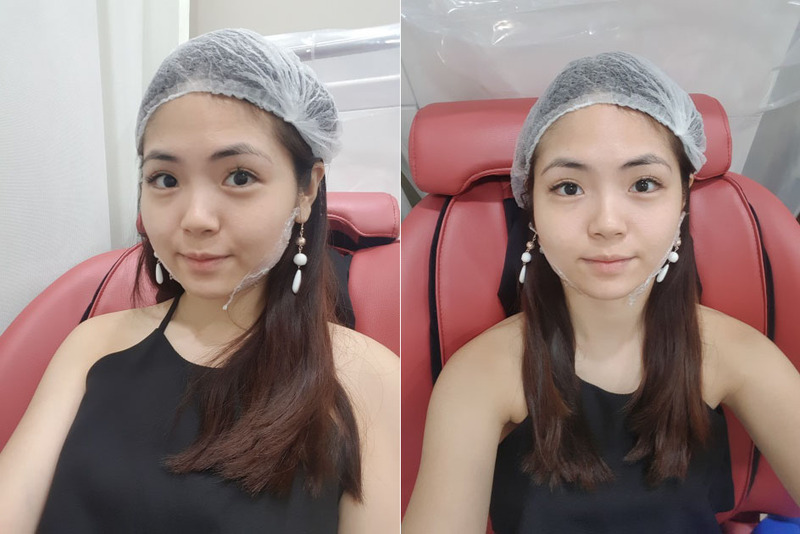 However, after reading about my friend, Mori’s blog where she shared her experience with Botox and results, I was curious to find out more about the clinic and what they could offer me. The clinic that she introduced me was Veritas Medical Aesthetics at Capitol Piazza. It is located at the mall just right beside City Hall MRT. When I was there, the staff were all very friendly and approachable. They made sure that I was comfortable and well taken care of as I filled in my particulars. When I consulted with Dr Chua Veritas, he was meticulous in assessing my needs and concerns. I mentioned that I would love to have a sharper jaw and he recommended a Botox procedure that would do just that. Well… Honestly, I really don’t hate my face. I love who I am and I am confident of how I look. However, if I could improve certain features of my face, why not right? Not sure if you have noticed, I have a pretty strong jawline that caused my face to look wider. I have always wished to have a sharper V-shaped face without undergoing any invasive procedures to alter my face like plastic surgery. Now I am going to walk you through the procedure. I was ushered into a room when they applied numbing cream on my jawline. The room was well decorated and cosy. I could choose to lie down or sit on a massage chair and I chose the latter. I waited for 30 minutes for the numbing cream to set. 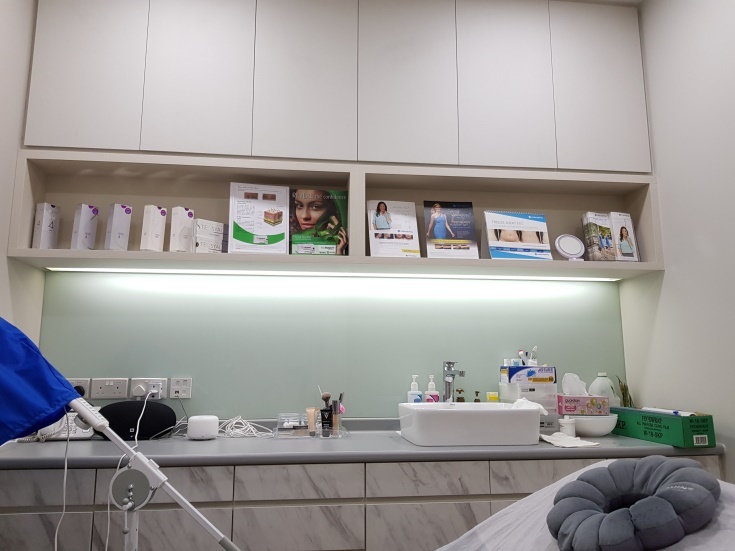 I sat up on their chair and Dr Chua Cheng Yu asked me to bite my teeth as though I am chewing something so that he could find my masseter muscles. In order for me not to feel the needles going in, his assistant Michelle placed a massager on another part of my face to distract me. Overall, I really couldn’t feel the needles pricking me. The pain level is probably 2/10. And then I am done! Dr CY Chua mentioned that it takes roughly 2 weeks to see the full results. How I looked like after minutes after the procedure. You can really tell that my left side of the face has slimmed down quite a bit. It may look pretty subtle because I did not go under the knife. However, I am really impressed with the results that I am seeing thus far! As you could tell from the previous picture, prior to my Botox treatment at Veritas Medical Aesthetics, I didn’t have a very symmetrical face. My left side of the face was slightly puffier or bigger than the right. So Dr Chua did try to help me to even out both sides. The results are more obvious when I smile. You can really tell when I compare a picture taken recently (right) from a picture taken a few months ago (left). My face is so much sharper now and I can finally see a V-shaped jawline. There was really no downtime for this procedure. I could eat normally and chew properly after that. My face was also not swollen after the procedure. So if you were to go for this procedure during lunch time, it can totally be done and your colleagues will not even be able to tell that you did something to your face. I also didn’t experience any side effects, thankfully. However, this may differ from person to person. Overall, I am very satisfied with the results and the professionalism of Dr Chua. 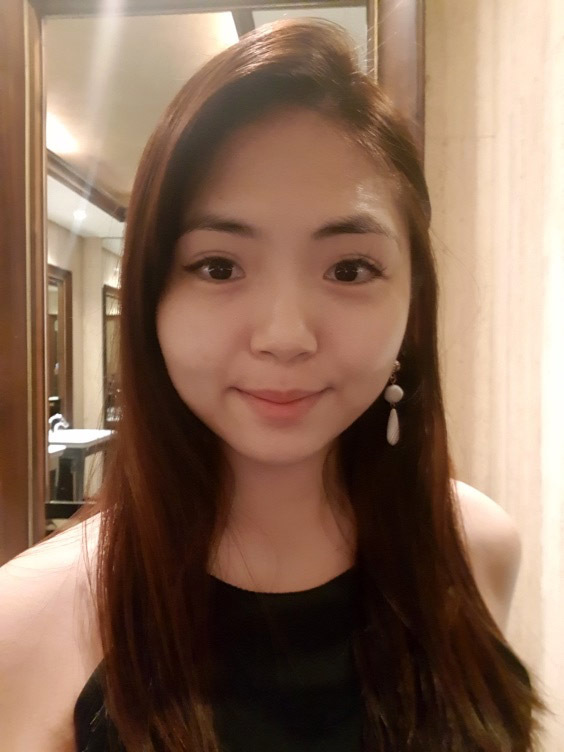 If you are considering this treatment, my advice is to make an appointment for a consultation so that Dr Chua can assess your needs and suggest a treatment that will be catered for you. Please reach me at [email protected] if you have any questions about this Dr Chua Cheng Yu review and I would love to be able to share more with you. They say that stress is causing grey hair and hair loss but we think that there is nothing more stressful than waking up at 25 and see in the mirror first few grey hairs. Latest researches show that almost one-third of women who still don’t reach the 30s, have grey hairs or at least one. It is not a secret, that when the first one is a fact, the rest will follow. Although online you could find numerous methods how to get rid of white hairs you probably want to know first why you have to deal with it before your 30s. We dig deeper into this topic and find out some interesting facts that can help you realize why you lose hair and why what is left turns grey, as well as methods of how to prevent or stop grey hair from appearing in the first place. What is the opinion of haircare brands? Changing the age when women go grey has an effect on sales of hair dyes. For women who have used hair dyes, it is not a secret that colours who cover normal hair can’t always cover grey hair so precisely. So hair dyes had to change, too. The popular hair cosmetic brand John Frieda was brave and created a completely new target group. They called it GHOSTS, which stands for Grey Haired Over Stressed Twenty-Somethings. Sounds funny, right? 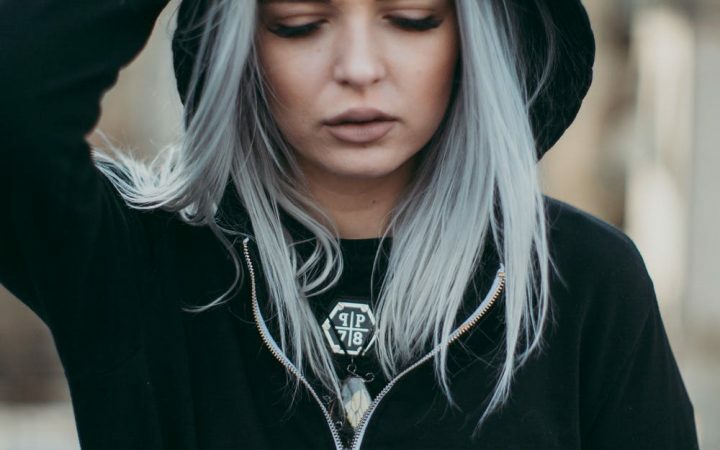 At first, they have some conflict realizing why women dye their hairs because two reasons are possible – fashion or white hairs. Every time when the marketing team is in front of a question, only one possible solution can lead to the right answers – a research. The research shows that 30% of young women hide their grey hairs under a hair dye. It is easier when women visit some hair salon and told the hairdresser what is going on with their hair but a big part of women dye their hair at home so the research encompasses exactly them. Women who are under constant stress report that they are part of a GHOST target group. Nowadays, it is not a rare event, woman to open it’s on business or to be more part of an important business decision. Of course, stress and anxiety follow so most women blame them for their vanishing hair pigmentation and losing their hair. As you probably have noticed, today we are so afraid to get old that getting a white hair and hair loss on 28 can ruin not only our self-esteem but also our life and accomplishments. Society accepts grey hair men as wise and handsome while grey hair women are “too old”, “at the end of their reproducing life”, etc. If we think carefully, we will see the joke in the situation. I am 28 years old and I postpone having children. For comparison, my mother gave birth to me when she was 21 years old, and she still doesn’t have grey hair while I have a few hairs already. So, our generation decides to reproduce later and nature decides “this later” to come sooner. Melanocytes are so-called pigmentation cells and when our hair turns grey they stop functioning or at least reduce their capability. Why they do that is still an arguable question. In addition, the lack of other important cells causes hair loss. Part of the scientists considers that grey hair comes from your parents and grandparents while another part of the scientists considers it is a result of the wrong lifestyle. 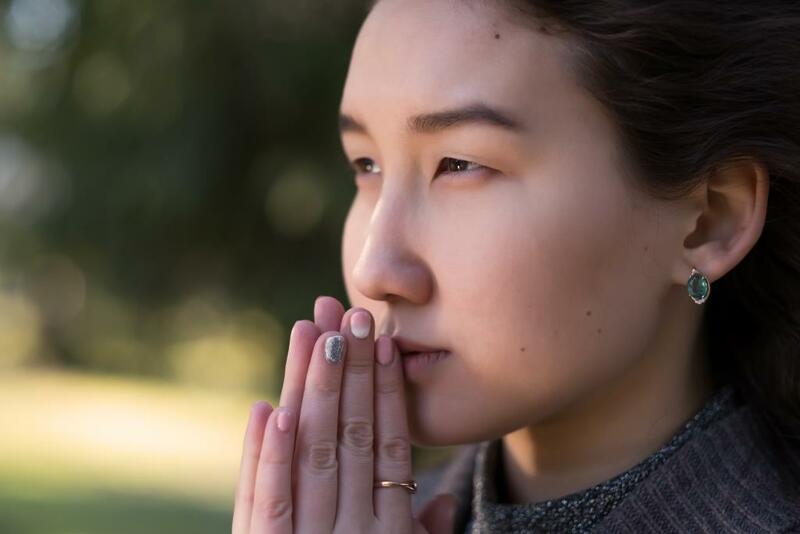 However, after certain researches, one is for sure, stress is connected with reduced pigmentation and the lost function of melanocytes. Stress forces our bodies to gather too much information and too much info means that you are old so the result is that your body is receiving the signal that it is time to become old so hair starts falling and discolouring. Another research shows that the stock of vitamin B is responsible for greying, too. Stress reduces vitamin B and DNA and Japanese scientists found out that follicles react to stress the same way DNA does. Stem cell hair therapy in Singapore, for now, is the best possible treatment if you want to get back your colour and density. It sounds disturbing but cosmetic can’t help you enough with hair loss. The only real results can come from something, which affects your cells. So if you need something to help you with your hair colouration you know what to search for. Laser treatment is a bloodless procedure where the laser is used to improve your skin condition. The process is complex and includes heating the blood vessels – haemoglobin in the blood. This causes dropping out of the old skin and rejuvenation with a new one. Unfortunately, laser treatment is not a single procedure; it is a process that contains at least several procedures. Results from the laser treatment are not fully restoration of baby skin so you shouldn’t expect so big change. There are different laser treatments for acne scars and some of them are more popular than others. Different lasers and light treatments could improve different imperfections so keep reading, and we will reveal main distinctions. How many laser treatments exist? The red laser is called this way because it radiates red light. The same thing is valid for blue one. Those two lasers successfully treat pimples but not blackheads and whiteheads. Visible light can’t cope with nodules and acne cyst, too. If you have pimples, this is the laser, you should look for in dermatologist office. In some countries, type of visible lasers is approved to be a home device. Of course, there is a difference in the strength of visible lasers for home use and those in dermal centres. However, if you want to acquire the similar type of laser and use it at home, you should have in mind, that you will have to use it longer and more often because of its reduced strength. For example, treating pimples with home laser should be between 30 minutes and an hour twice per day for 2, 3 weeks. Another treatment similar to laser one is infrared treatment. It is suitable for acne pimples on face and body. You can’t treat blackheads and whiteheads because there won’t be an effect. Photopneumatic therapy is an interesting treatment that sums two other treatments. Intense pulsed light is pointed at the targeted area together with vacuuming. Vacuuming is used for cleaning clogged pores. This treatment is suitable for blackheads and whiteheads but again acne nodules and cysts are not affected. Why are laser treatments for acne scars so popular choice? Laser treatment was first introduced in 1980 when Nd: YAG laser manages to improve brown spots and acne scars. This laser was one of the first attempts and targeted the basal cell layer. Of course, upper cell layer died and cell grew back again without pigmentation or visible scars. The downside of this treatment – it was temporal. Not long after the treatment, the scars show up again. 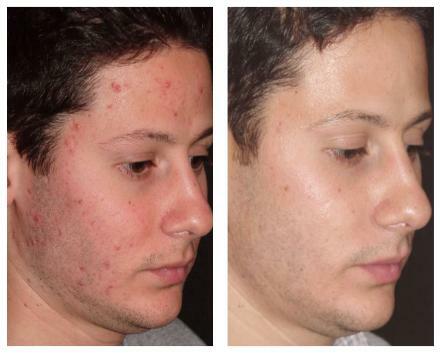 Here is an example of Neogen plasma acne treatment, a revolutionary method with skin regeneration effect. The vascular-specific 585-nm pulsed dye laser (PDL) was invented in 1990. The laser manages to heat haemoglobin, only. The cells above the blood vessels were untouched. This technology has better long-term results. The last type of popular laser treatments of acne scars is so-called carbon dioxide laser ablation which is used for overgrowth skin. The laser removes excessive skin cells and stops their multiplication after the procedure. Usually, these cells are overgrowth skin because there is a scar underneath them. Laser treatments are successful when white blood cells don’t visit the threatened area and form the scar all over again. There are many treatments that could accompany laser procedures in order patient to get the best results. Beautiful skin needs efforts and sacrifices. Let me introduce you to the sprained ankle. If you were lucky enough to know how painful it is to sprain your ankle then we will save you details. If you haven’t been honoured to see your ankle swelling then we hope you never have to feel it. However, the chances to know this type of pain and discomfort are huge especially if you are exercising or you have 2 left legs. We feel your pain and that’s why we sum up what you need to do in first few days after the incident. Keep reading and next time when you have to limp because of your ankle you will minimize it. The ankle is not made of bones only. In its structure, the main function has ligaments that limit the movement. If we step awkwardly off the curb, ligaments stretch too much. 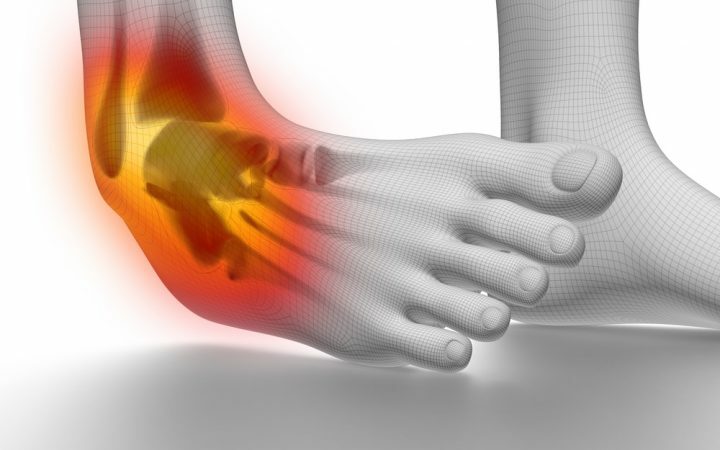 In some particular cases, ligaments can tear from their end and then additional sprain ankle treatment will be needed. if you have sprained your ankle, you will feel a sudden pain, that will force you to stop what you were doing immediately. It is a nightmare for a few seconds, then the pain decreases but still occurs. Next comes the swelling. If you have pain and swelling, congratulations, you have a sprained ankle. The first thing that is necessary is to stop every activity that is going to stress your ankle. Try not to move it so much and if you feel the pain you don’t do it properly. Next thing you should do is apply an ice on the spot. Try to do it before your ankle starts swelling that’s how you are going to manage to swell and you will win this fight. If you don’t have ice packs, use soda can from the fridge. The bandage is your next option. Be careful not to wrap it too tight because you will suppress the bloodstream. It is important to remove it when you went to sleep because this is the time when your blood has to circulate freely. Next recommendation is a little strange but it works just fine. Probably, you know that bloodstream is not steady and it circulates around the body. If we stay down with our head down, then the blood goes into the head so when your ankle is sprained you have to lift it above the level of your heart. This way, not so much blood will be able to go into your sprained ankle and it won’t swell so much. Get more sprained ankle treatment tips and advice on physioactive.sg, – Your health in expert hands. First, few days are the most painful so you shouldn’t neglect it. Taking a special care for a sprained ankle is not easy so don’t push it so hard. The pain will reduce with time but it won’t disappear at least 2, 3 weeks so you shouldn’t expect miracles. Ligaments can’t heal so fast no matter what you do. If you feel really bad pain and you are sure that the ankle is sprained then you can have some pills for the pain. Have in mind that they will reduce the pain but won’t do anything more. They don’t heal stretched ligament. However, if you are experiencing extreme pain, you should look for a professional care and physiotherapist. In Singapore, there are plenty physiotherapists that are able to relieve pain and to consult you in case you have some additional questions. No matter if you are 20 or 45 years old, you 100% don’t love eye bags and don’t want to see them on your face. Some people are born with them while some acquire them while living a “healthy” life. Eye bags are not natural most of the cases so there are reasons for their presence. We decided to get to the bottom of this mystery and find out why eye bags are so stubborn and how to make them choose another face to pop up. 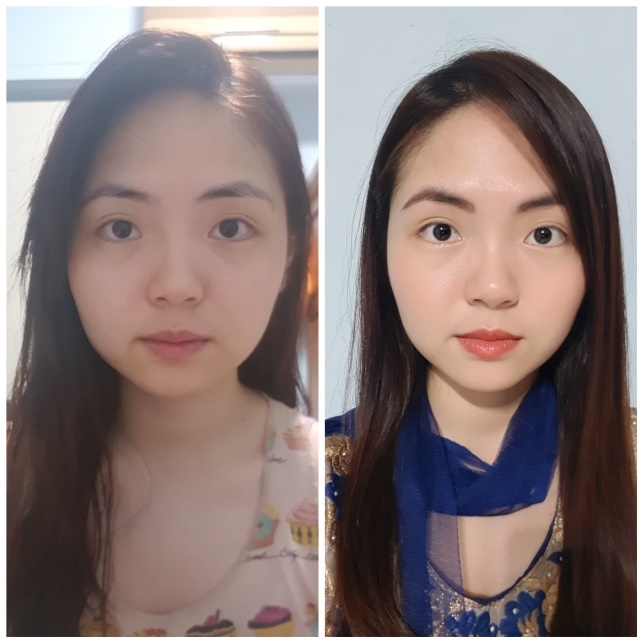 Eye bag removal treatments are endless – from face masks to dermal fillers, says Israrwong.com. What to do if we don’t want to search online for eye bag removal tricks, let’s find out together in next few passages. 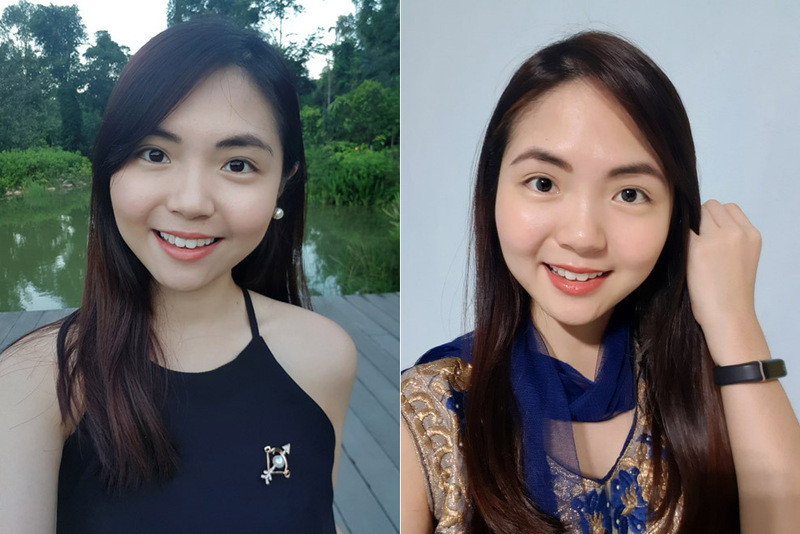 How to avoid getting eye bags? If you have some allergies, then you know that puffy eyes come with them. Take care of your allergies right on time, not when it is too late. Allergies are having a party every spring and summer with your body but you don’t have to allow that to influence your beautiful skin. Food is important because depending on what we eat we give our bodies what they need. Salt, for example, is a sodium and you may know that sodium cause fluid retention. Fluid retention causes puffy eyes easily so every time you reach for salt remember that. If you can’t live without salt, then we recommend you use Himalayan salt. The better option is to go for more vegetables and non-salty food. Exercising is what you need to do not only to prevent eye bags but to prevent ageing in general. No matter what type of exercise you admire – yoga, Pilates, running or aerobics, you should know that sport change the way body works. In Yoga, for example, there are special exercises made for facial muscles exactly. This way people are able to have better control on loose skin and muscle layer under the skin. How important is the water? As you may know, water is life. In this case, the water is eye bags that’s why salt is banned from the menu. Another thing you should have in mind is that sleeping position matters. If you sleep on your stomach, there is a higher chance gravity to effect on your body fluids. The result is puffy eyes every morning for at least 2 or 3 hours. OK, probably you know that, but we have to tell it. Don’t go to bed with make-up because it will make your eye bags worse. Although makeup is not directly dangerous to your skin, it will irritate your eyes, and they will be watery all night. As we mentioned, water is equal to eye bags so you can solve the equation. Yes, we know that Saturday night can’t go without certain things as one cocktail or two. Puffy eye bags are waiting in the dark literally to dehydrate our body with alcohol to appear that’s why you don’t have to provoke them. There is a middle ground, so when you drink cocktails, drink water, too. Two glasses of water are equal to 1 glass cocktail. Smoking is next thing that is worsening your skin. Every experienced dermatologist would recognize a man who smokes and a man who don’t. Unfortunately, smoking can’t be improved with drinking more water. You have to stop it in order to improve your skin condition. Orthopaedic Surgeons in Singapore – What they do? Orthopaedic surgeons are the people who will help you if you break your leg or have a stiff neck. When people talk about doctors they don’t usually imagine someone who will take care of their skeletal system but in fact, our skeleton needs as much attention as an immune system, for example. Do you know how important are skeletal system and orthopaedic surgery? Bing an adult means to be fully developed. While we are growing every system and process in a human body are developing slowly and eventually they form an adult body. Human body of adult man or woman consists of 206 bones. Surprise, surprise, you can break every single one of them. In addition, you have ligaments, muscles and cartilages that help your bones function and stay together. Babies have more bones than adult people. Although their number is bigger, their bones are smaller and softer. While babies are growing small bones combine, deform, and become in a skeletal system. Often orthopaedic surgeons recommend before undergo an orthopaedic surgery to a child to wait until his bones form completely. Why do orthopaedic surgeons advise people to be careful with their hands and feet? Teenagers and children usually break their legs and arms because they use it more often. Do you know that 106 bones are positioned in hands and feet in total? Your hand has 27 bones and your leg – 26. The limbs have more bones, smaller because they have to be as mobile and flexible as possible. That’s why orthopaedic surgeons recommend being careful with them. We are all the same or not exactly. The skeletal system is almost the same but there are some exceptions like a cervical rib. Some people have 25 ribs, not 24, but this anomaly happens rarely. For example, if you have it, you are one of 500 people. People with cervical rib have some health issues and complain more often from pain in the neck. As we mentioned above, every human has 206 bones, which form skeletal system. They are all connected except one. An interesting fact is that there is an only one bone which is separate from the system and it is responsible for speaking. The hyoid allows us to speak and pronounce sounds. It is believed, that Neanderthals had it too, so they were able to speak as we are today. If you think that today the best orthopaedic surgeons live in Singapore, you are right to check Doctor Dwight list of top 5 orthopaedic surgeons in Singapore. Although modern medicine can’t be compared with the ancient times, people then have pretty good inventions. Orthopaedic surgeons in Ancient Egypt have created a functional prosthetic bone. Amazing, right? Considering how hot was there and their clothing style, you probably have already known that they were wearing sandals. Have you ever hit your big toe? Yes, it is painful but if you hit it so hard that it loses its own function you will not be able to walk easily with sandals. That’s why orthopaedic surgeons in Ancient Egypt have created an artificial big toe. If we dig deeper and pay attention to Neanderthals we will find out a recent research with proves that they had a bone tumour as we do. There is logic in this claim because bones we have and bones they have been the same – living cells. 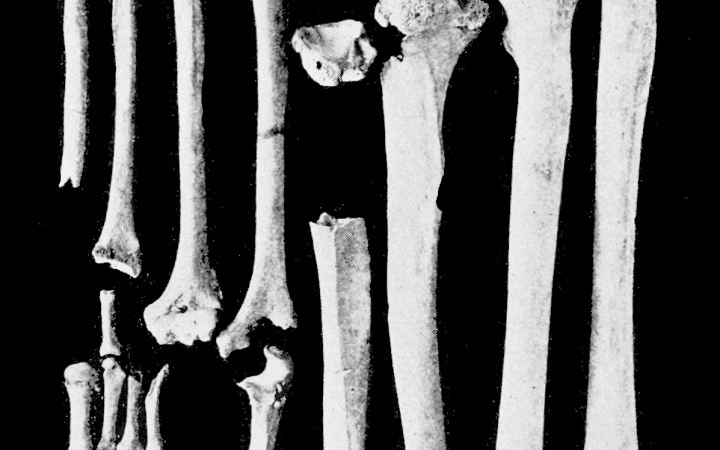 Orthopaedic surgeons in Ancient Egypt knew how to treat broken bones, too. Guide how to treat fractures is left on papyrus from 1600 B.C. They knew they have to realign the bone properly and make it motionless. How strong is one bone? If we have to make a list of the most strong things in the human body, bones will be in the top 3. Unfortunately, they are not the strongest. The tooth enamel leads the rating Thanks to calcium enamel is able to protect teeth, and we can eat with them. Of course, if we think carefully, we will realize that it is completely logical teeth to be stronger than bones because eating is more important for surviving than running, for example. Orthopaedic surgeons take care of your muscles and ligaments, too. Imagine that human have only bones and nothing else. This would be a nightmare because we will be completely unable to move. If you are surprised, think about that – we don’t move our bones, we move muscles. They move bones. The conclusion is that we need all that muscles and ligaments to control the skeletal system. In other words, every part that is in us is important, and we have to take care of it. Visit regularly your orthopaedic surgeon is recommendable if you want to have healthy bone structure.